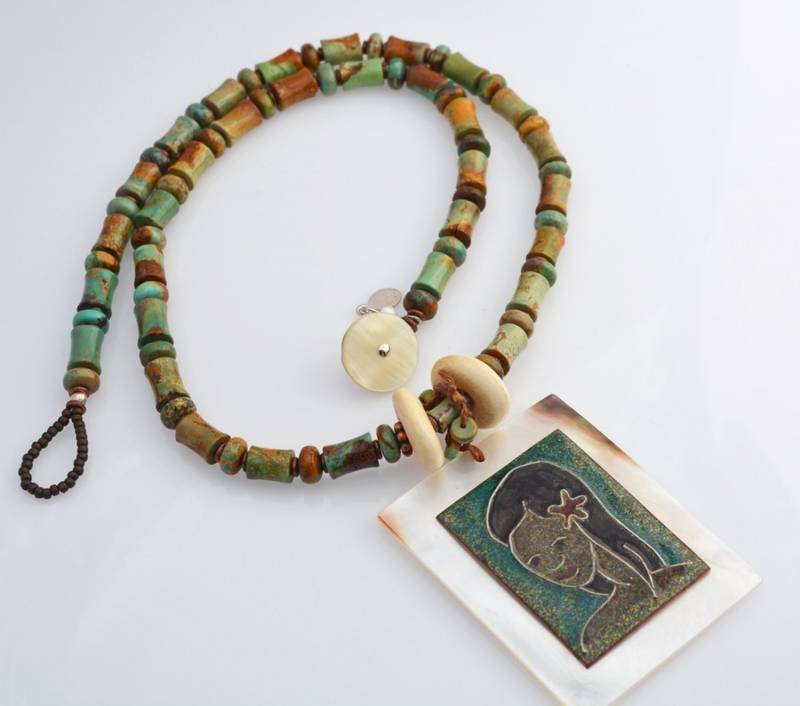 A very special island artisan necklace that shows your love of the islands even when you can't be there. 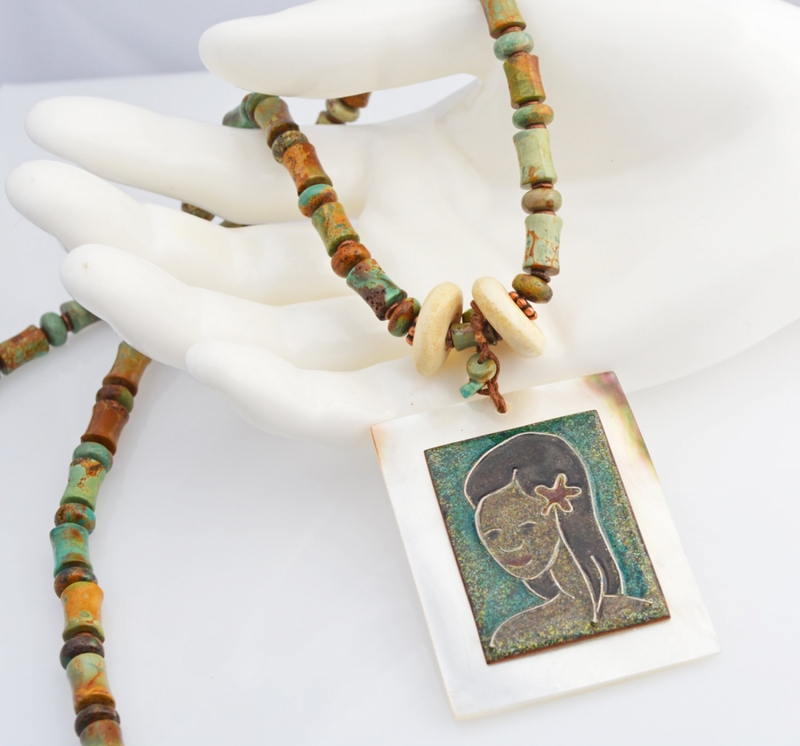 A vintage Mother of Pearl pendant that I inherited from Great Aunt showcases an island girl in enamel cloisonne on copper. My Great Aunt loved to travel and collect jewelry from the places she visited. She purchased this in Hawaii many years ago. 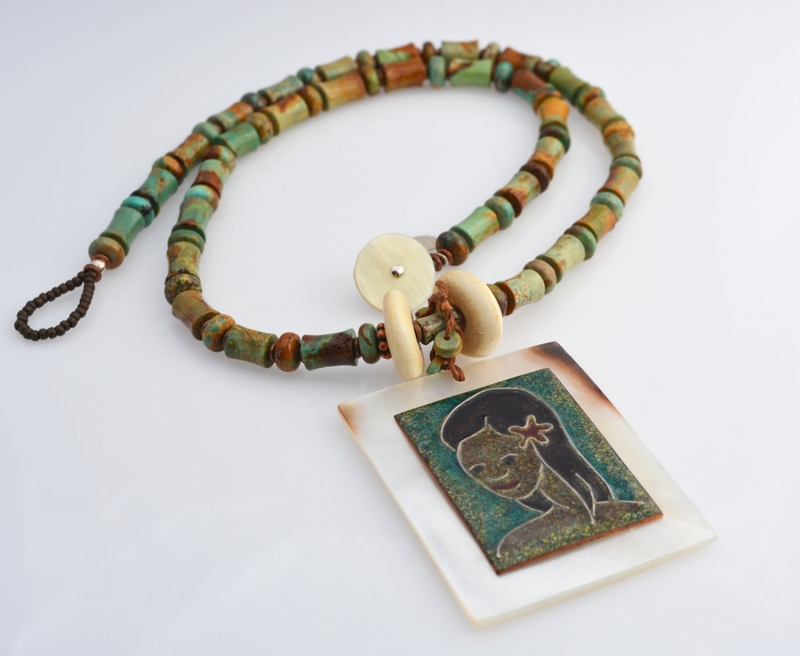 I've strung her with a uniquely shaped strand of turquoise beads reminiscent of bamboo. 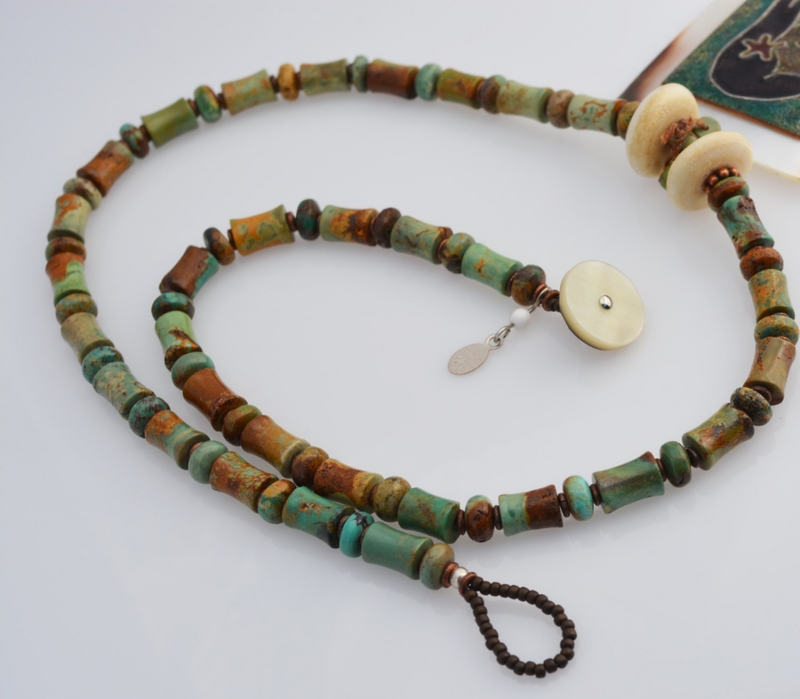 Melika is fastened with a vintage Mother of Pearl button for a very easy on-off. Melika is 20 inches in length.